If your power has ever gone out on a beautiful day, you may have been the victim of a squirrelly attack. That’s because squirrels are responsible for an impressive number of electrical issues each year. Although it’s tricky to get a real sense of how many outages squirrels manage to cause, the numbers are daunting. One estimate tallies 560 in Montana alone last year. Another blames a whopping 400 outages in Austin, Texas, last year on the sneaky rodents. Squirrels and their partners in crime cause about 10-20 percent of all power outages, according to the Washington Post. Squirrel-induced power outages tend to be more localized and more quickly fixed than those caused by storms, since one little rodent can only chew so much. But they’re still a real issue. Each one can affect as many as 13,000 people at a time, and in 2015, squirrel blackouts cost Montana alone $11 million. Stack that up against one of the most talked-about grid security issues: cyberattacks. While there have been a handful of blackouts allegedly caused by cyberattacks, like December’s in the Ukraine, some cybersecurity experts argue that only the Stuxnet attack on Iran produced confirmed physical damage. There is one small silver lining to this nutty problem. Because of everyday issues like squirrel attacks, there are actually a lot of redundancies built into the US electrical grid that make it more resilient. That means outages don’t ripple across huge portions of the country, as happened in Kenya last week when a monkey fell on a transformer. Electricity companies have a collection of techniques to try to protect their wires from rascally squirrels, like plastic coverings on poles where wires intersect and rotating caps that squirrels can’t grip onto long enough to let them do any damage. But they’re up against a powerful foe, since squirrels never stop teething. 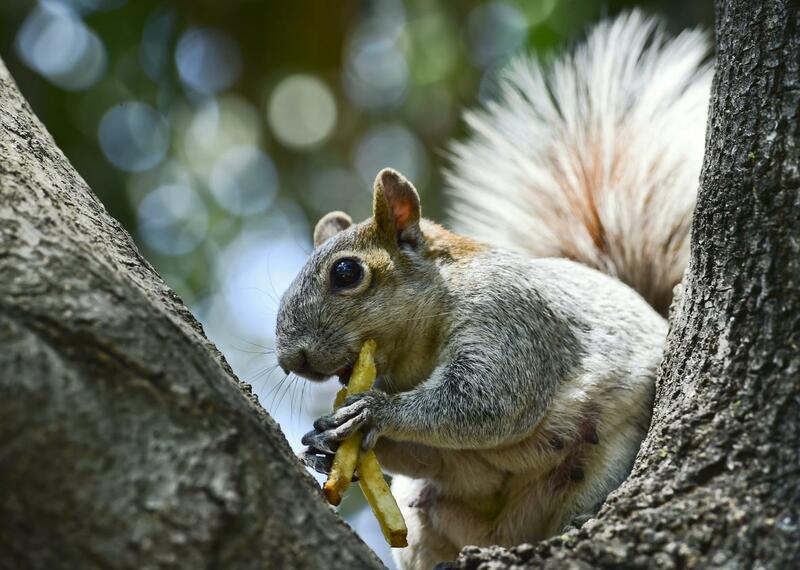 Other animals, including birds, raccoons, and snakes, also cause power outages on occasion, but squirrels are far and away the most common culprit.